A leaked tracklisting for Meek Mill‘s new mixtape “DC4Life” has been circulating showing guest features from Nicki Minaj, Young Thug and more. The Maybach Music rapper announced the project early this morning telling his fans that it will arrive tomorrow (October 29). But you can look for the project as early as tonight around midnight. Aside from the big name artists above, other artists on the tracklist includes Lil Uzi Vert, Tory Lanez, Don Q, Quavo, Pusha T, Lil Snupe, French Montana, and 21 Savage. Meek and Nicki have been rumored to be broken up for a few weeks now. 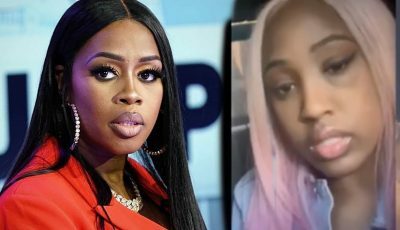 The pair haven’t spotted together in weeks and a recent post on Instagram from the Philly rapper also indicate that there are trouble in paradise. AND N#%GAS WANT ME GONE BUT IM STILL LIT WAKE UP EVERY MORNING FEELING BLESSED UP! #DC4,” he wrote on IG.